I know, I know. It’s supposed to be Pie Day Friday! Where is our pie??? BUT! I made you a new Holiday Mollygram! It’s got cashews and brown sugar and some terrible singing, too. Enjoy, friends!! Catch all that? You can find the actual recipe, from Sheet Pan Suppers, below! These are such a fantastic, make-ahead party snack — they’re deeply nutty, spiced, herb-flecked, and practically caramelized. They also look cute in some simple packaging (mason jars & ribbons, maybe?) for a delicious and thoughtful holiday gift. Preheat the oven to 325 with a rack in the center position. Line a sheet pan with parchment paper. In a medium bowl, whisk together the egg white and salt with 1 tablespoon water until just frothy. 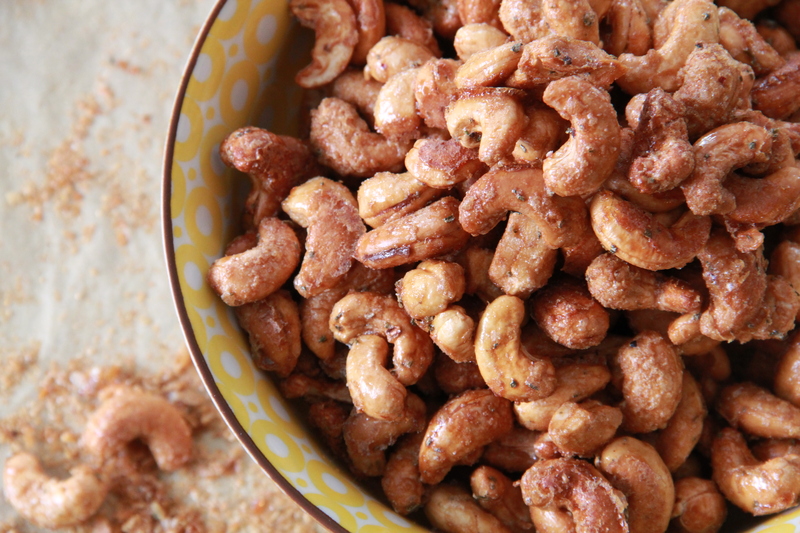 Add the cashews and toss to coat. Transfer the nuts to a colander and allow them to drain over a bowl or the sink until they are just wet but not goopy. Meanwhile, whisk together the brown sugar, rosemary and red pepper flakes in a small bowl until thoroughly combined. 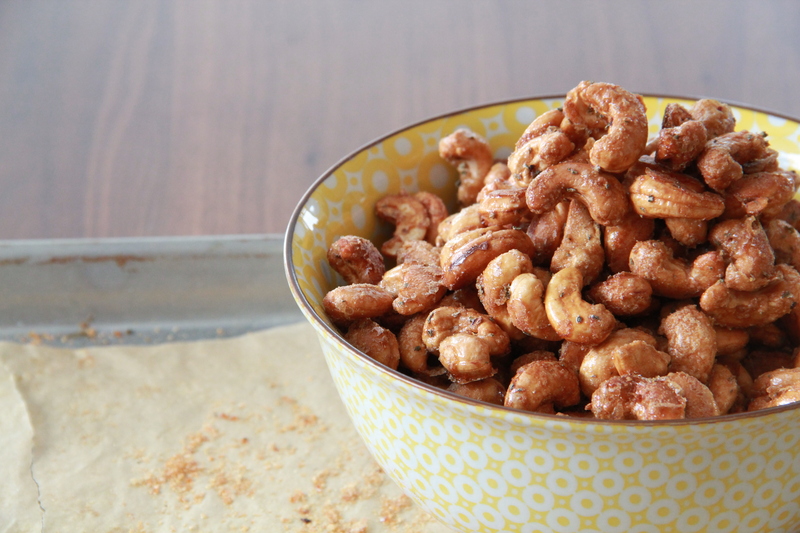 After the cashews have drained, toss them with the brown sugar mixture to coat. Arrange the cashews in a single layer on the prepared sheet pan. Bake, rotating the pan halfway through, until evenly browned and bubbly, about 35 minutes. Allow the cashews to cool to room temperature. Break them apart with your hands before serving. The cashews will keep in an airtight container at room temperature for 7 to 10 days. More! More! These are amazing! Ummm, yummm! These combine all of my favorite things!